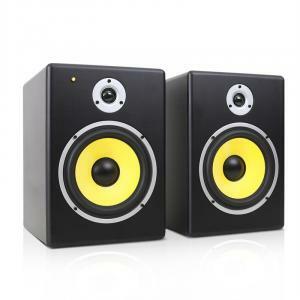 Studio Monitors at the Best Price! 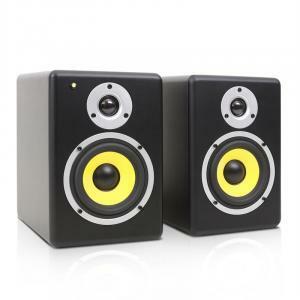 The term “studio monitors” is used specifically to refer to speakers used in music production (including films, TV and radio). Monitor speakers are also often described as near-field, which the listening can occur from a close range, such as sitting or standing at a desk. This is contrast to PA speakers, who are built to reflect sound off walls and ceiling. The design of studio monitors outputs fairly flat frequencies, so that high, mid and low tones can all be listened to at once. 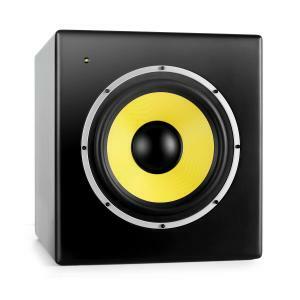 A studio monitor aims to reproduce as close to real life as possible. Most modern monitor speaker designs are active monitors, meaning that the amplifier is contained within. In general, these types of self-powered units are called active speakers. Some people also buy studio monitors for computer use. 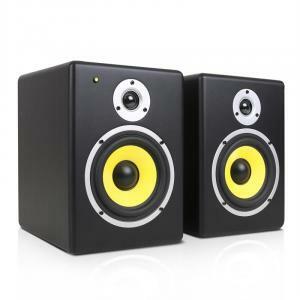 Monitor speakers can also be used as home hifi speakers. The modern, uncovered look appeals to many music lovers. Not only do they sound great, they fit into any stylish décor scheme. Not only that, monitor speakers are built with durability in mind, and can handle short bursts of high volumes as can happen with unmastered recordings. It won’t make much difference with today’s compressed songs, but it’s a nice feature to have just in case of badly mastered MP3’s with unexpected spikes in volume and frequencies. When buying reference monitors, always search for reviews online for a good overview of what’s out there. It’s also a sensible idea to check price comparison sites to make sure you’re getting the best deal available. You might take note of the total cost with postage and packaging, as not all companies offer free shipping in the UK. If you’d prefer not to make a purchase on the internet, look up your local dealer of musical instruments and audio equipment.